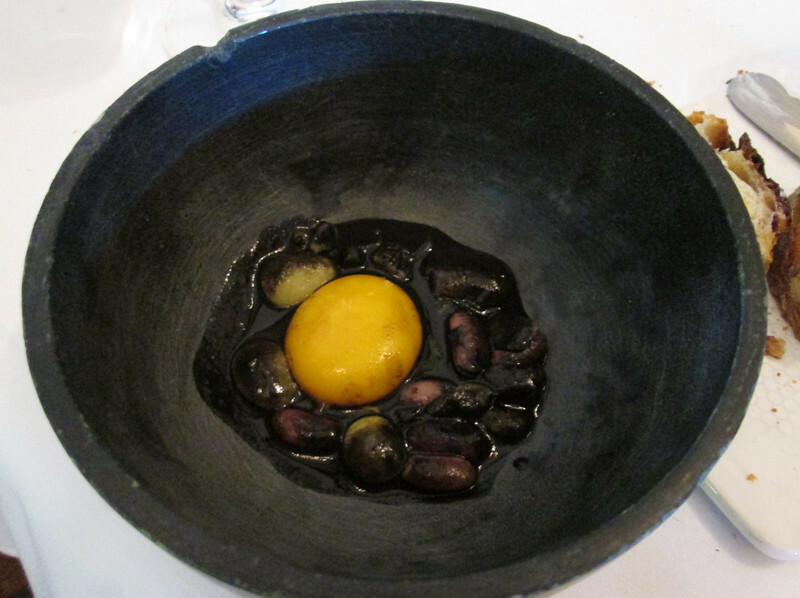 Course #14: fresh egg yolk and beans, cooked with charcoal. A word about the charcoal (we had it before in the whoopee pie) - the Farm produces biochar, which a pure form of carbon that is free of the volatile chemicals and ash found in charcoal - it is made from tree branches, used paper plates and other biomass on the farm. The chefs cook with biochar. It had a definite charcoal-type taste, but was not overpowering and in fact added to the complex flavors in this dish.